For the 5th time globally and for the 3rd time in Southampton, 30+ cities came together over the past weekend to work on problems related to humanity and the environment. Even though I had already organized the last two Random Hacks of Kindness events, setting up this one proved much more challenging due to changes in my professional life and a recent family extension. However, helped by Alejandro of HackaSoton, the the awesome DigiChamps (Olja, Nader) and Dominic from SUSU.tv we still managed to pull it off. Exams still in full swing meant the turnout was lower than expected but, as I always say, the good people were there. We had a number problem statements from Medecins Sans Frontieres (through Ben Holt), as well as from Konekta (through Mark Herringer), and, of course, Taarifa. Three teams started working but only two made it through the whole weekend. The first was Mindful Music, led by Mark Blackwell, and worked on music therapy for Alzheimers. The second was on Taarifa and they were working remotely from the Hub in London. Mindful Music was presented at the last rhok and at the time a Django based web app was developed that patients and carers could interact with. This time around, led by Benjie from SoMakeIt, the focus was creating a hardware device that could be given to patients which they could use to interact with their music. 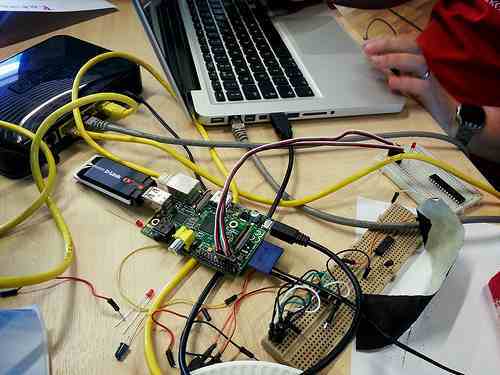 With lots of wires, chips, Raspberry-Pi’s, and other kit lying around it was an interesting project to watch develop. In London the Taarifa guys managed to put together a new mobile app based on FirefoxOS that enabled a much more reliable and fluid interaction with the core reporting platform. To break the hacking somewhat we had short talks from Mark Lunney and Radek Simko (from the London Google Developer Group), Benjie Gillam (founder of the local makerspace), and a visit from Justine McKinnon, founder of crisismappersUK. 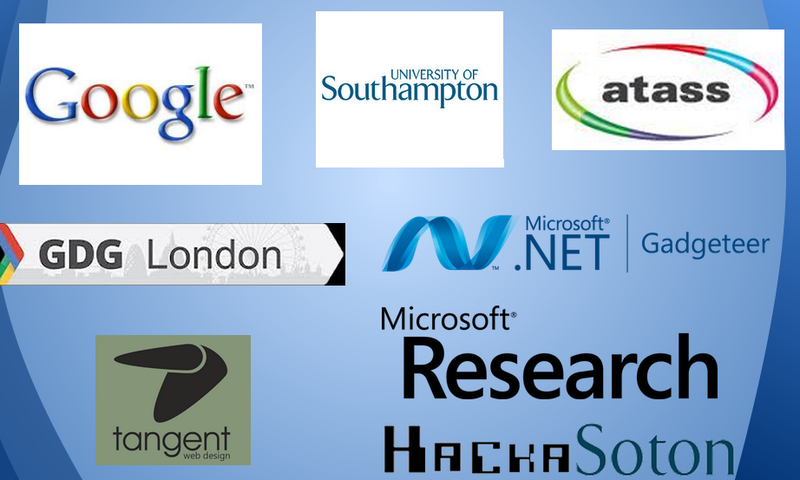 Everybody worked hard throughout the weekend and more than deserved the Tshirts, Gadgeteer kits (courtesy of Microsoft Research Cambridge), and AppEngine credits (courtesy of Google) available as prizes. All those who registered, attended and put in hard work to have made this a successful event. And last, but certainly not least, my family for letting me disappear for another weekend in order to make this event happen. To all the teams: I hope you keep working on your projects and keep me posted. I look forward to seeing you again soon. This entry was posted in hackathon, Tech4Good and tagged hackathon, rhok, rhoksoton by dgorissen. Bookmark the permalink.